Medicaid beneficiary programs improve performance with modular, real-time analytics that allow a spectrum of actionable monitoring and benchmarking – statewide, between MCOs, and health plans. Monitor and improve MCO performance to drive meaningful population health outcomes by leveraging a solution that goes the extra MILE. Modular: Single-platform solution flexible enough to support your specific PIPs, with built in HEDIS, Health Homes and CMS quality measures. Interoperable: Extrapolate and configure data from any source for integration, including encounter/claims, labs, pharmacy, EMR, HIE and more, with SDoH and behavioral health assessments for a holistic, person-centric record. 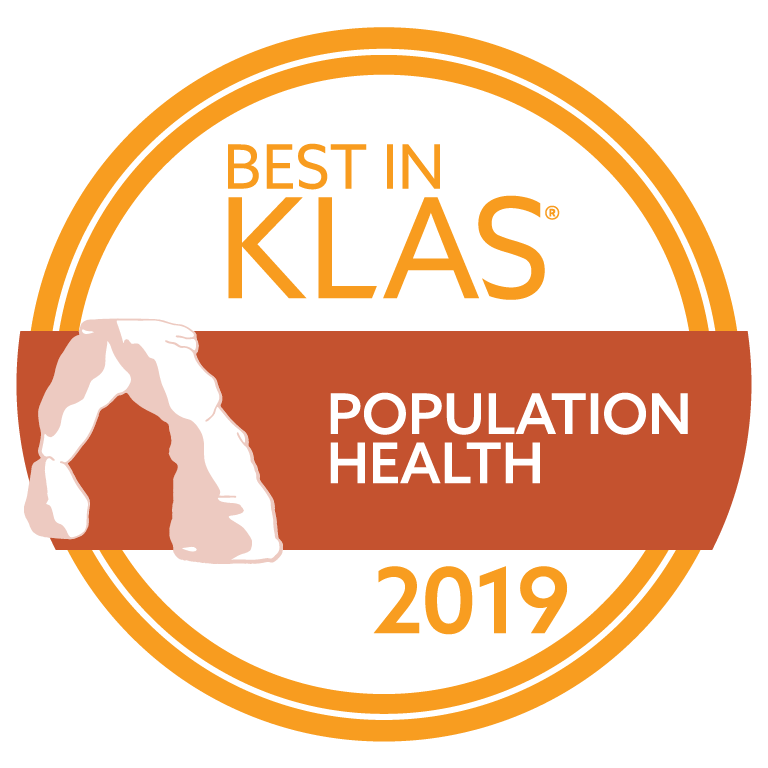 Leading: 2019 Best in KLAS Population Health Management solution. 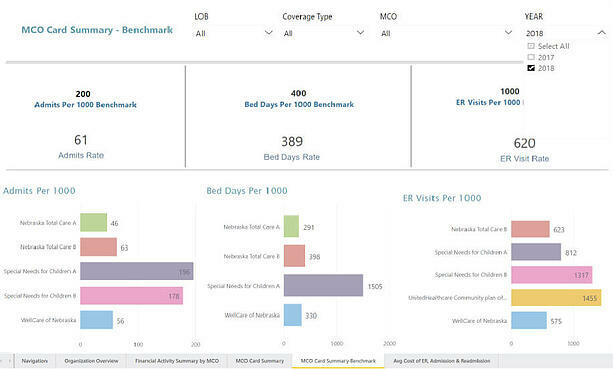 Easy-to-Use: Customizable reporting interface for risk stratification, identifying gaps in care, performance and provider benchmarking, and more. Managed care – at the state level or within a health plan - is challenging. It requires continual improvement and must be responsive to changes in the population, the needs of providers, and the technology enabling efficient and effective care. With HealthEC’s comprehensive population health platform, MCOs, state Medicaid programs, and health plans have the targeting capabilities, evidence-based analytics, and reporting needed to proactively serve beneficiaries while reducing unnecessary costs and improving care outcomes. Monitors 69 core CMS Quality measures, 12 Health Homes measures, and all HEDIS measures. Integrates data into a holistic interface for monitoring and evaluation. Provides independent validation of MCO performance by the measure, as well as member, provider, and organizational levels. Targets payer, provider, member and pharmacy abusers. Identifies outliers and contraindicated medication users by disease state. Stratifies and identifies member risk by disease state and risk of opioid abuse. Adapts to pharmacy, behavioral health and other specialty populations. Develops evidence-based, individualized care plans that integrate behavioral and medical health data, comorbidities, risk factors, and social determinants of health. Provides action-driven reports and dashboards used to lead interventions. Provides care coordination capabilities for global and select populations. Tracks medication interactions involved with care coordination.